Make this necklace,or one just like it. 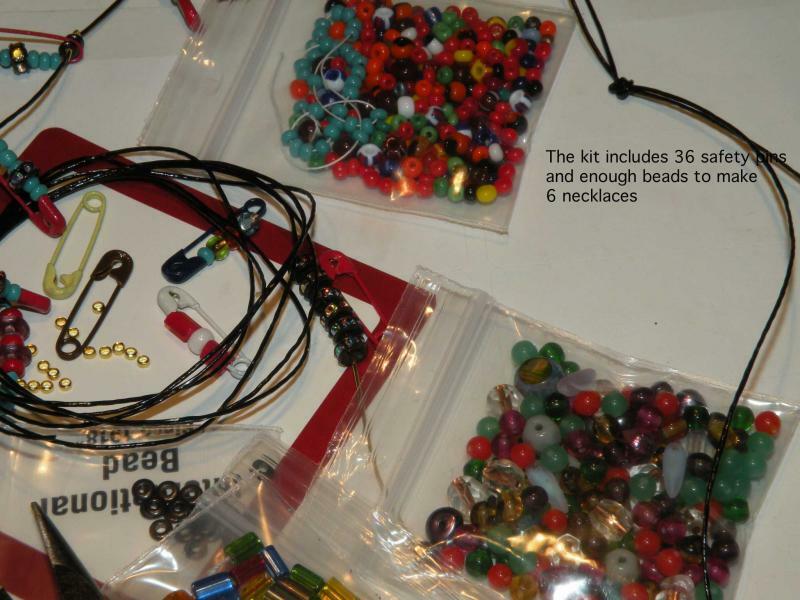 This kit includes every thing you need to make 6 necklaces. Make the one in the photo, and create five more, all Czech beads and a few American parts, more than enough for 6 necklaces; Included are rhinestone rhondells , fancy beads, seed beads, 6 yds cord, and 36 safety pins. Plus washers and crimps. It is simple and fun, no experience needed. $15 plus shipping With a pliers its $18.00 Email to order. 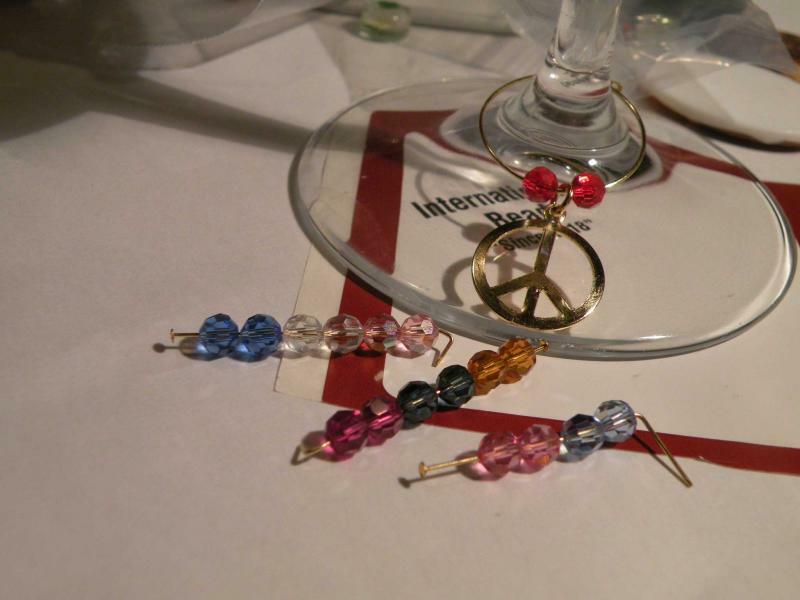 Wine Charms -Recognized the World Over as the First Defense against Swine Flu! Identify which Glass goes with which Person, and add Festivity to any party. These Charms can also be ordered as Kits. Make them yourself, its easy and fun! No special skills are needed, only the beads and wires, a pliers and some imagination. More wine Charms will be added often. These are all one of a kind, handmade in Chicago. 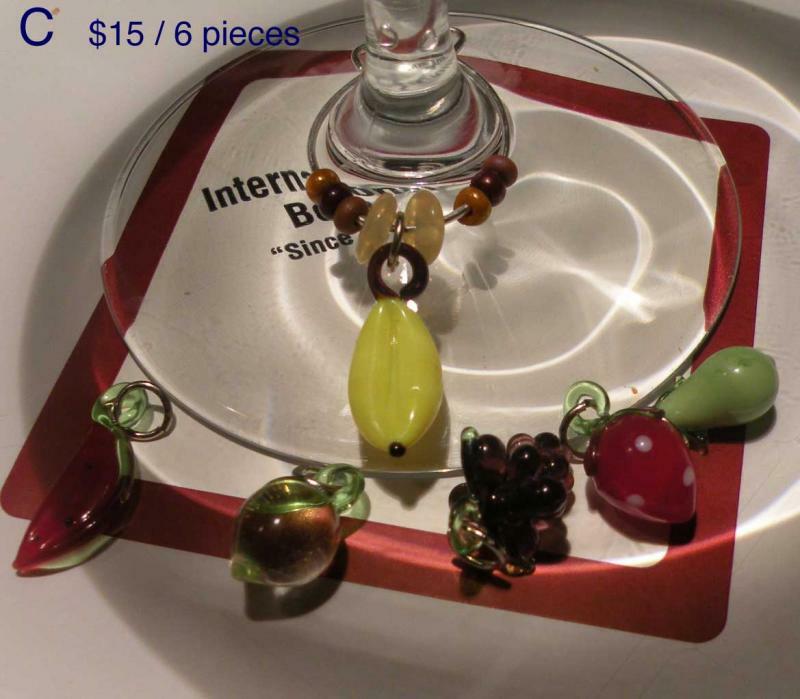 Six different glass fruits with beads on a silver plated wire ,the photo shows one wine charm around a glass, and 5 more fruits waiting to be put onto wire to become wine charms. 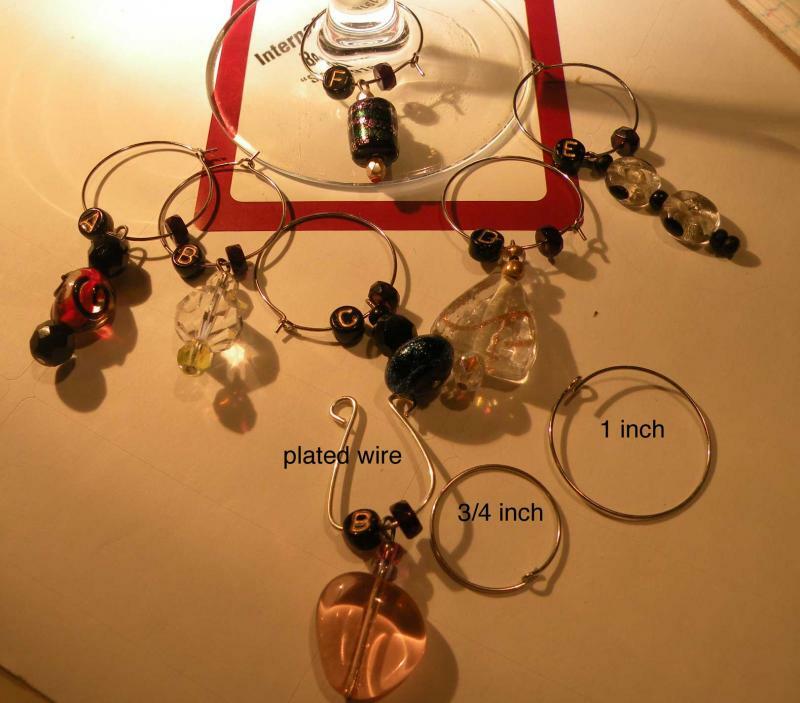 you will receive a set of six finished wine charms. Each fruit will have its own unique bead trim. This style is easy to put on or take off the glass, no problem for older or younger fingers. Remember not to put into a dishwasher. Czech Glass. Austrian Crystal. Indian Dichroic - jewelry for a wine glass. On a wire loop. Email to buy this exact set, Handmade. $18 Email to Order. Round loops /no dangles and very cool. Czech, Austrian, and South Asian beads (India) this set was handmade at the end of August. Email to order. $15 for this set of six. for 1 to 5 sets. 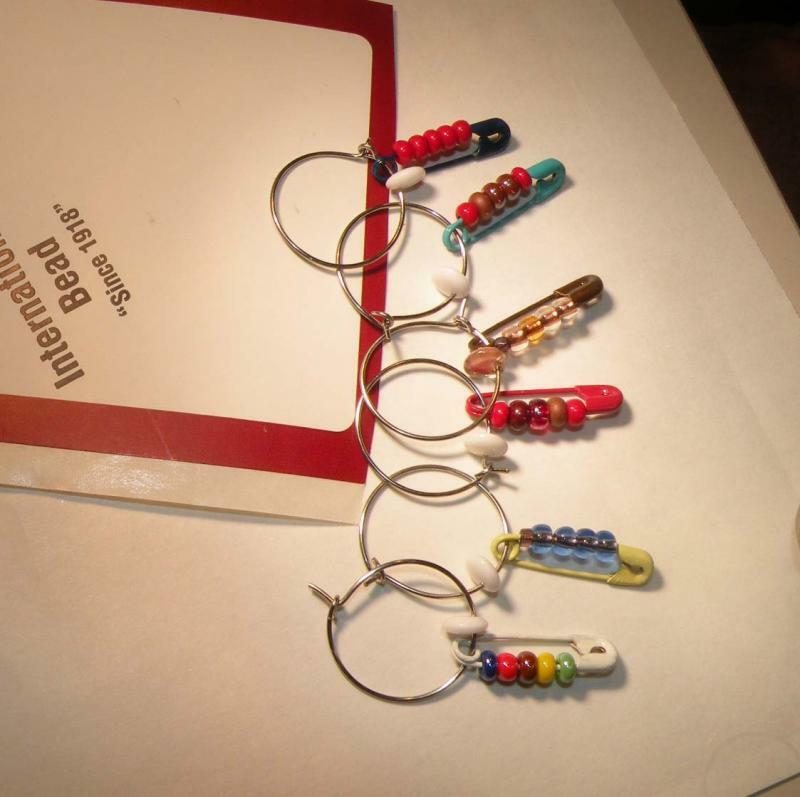 6 different colors of enameled pins, with Austrian and Czech beads, put on so they will not fall off the loop. You may specify which letters. The pins were made in America 30 years ago. As a Kit, make them yourself. 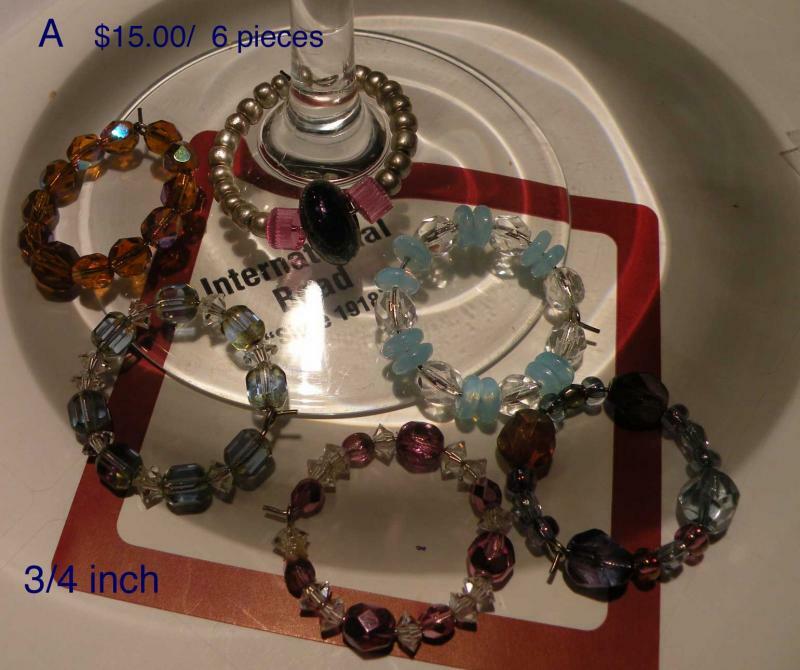 enough beads and supplies for 18 different wine charms. $12. plus shipping. with a pliers,$15. email to order. 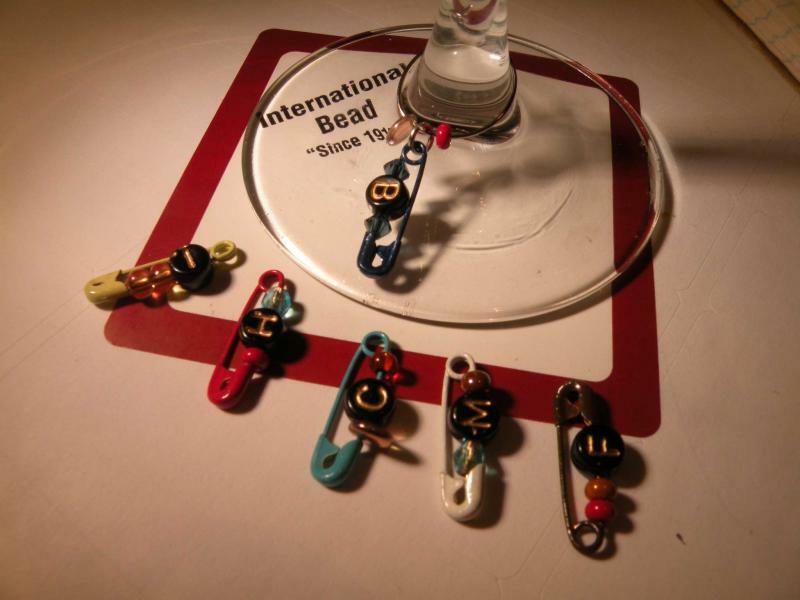 Simple and Effective, 6 colored pins with Czech beads, and they won't fall off the loop! $7.50 per set of 6. email to order. 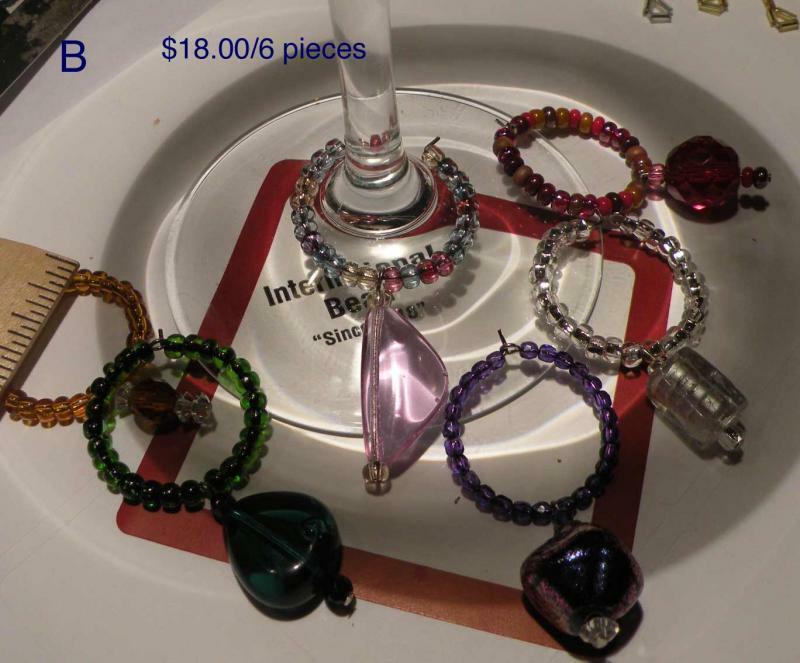 As a Kit, enough beads and parts to make 18 wine charms, $9. with a pliers $12. Did NOT win the Nobel Prize for wine charms. 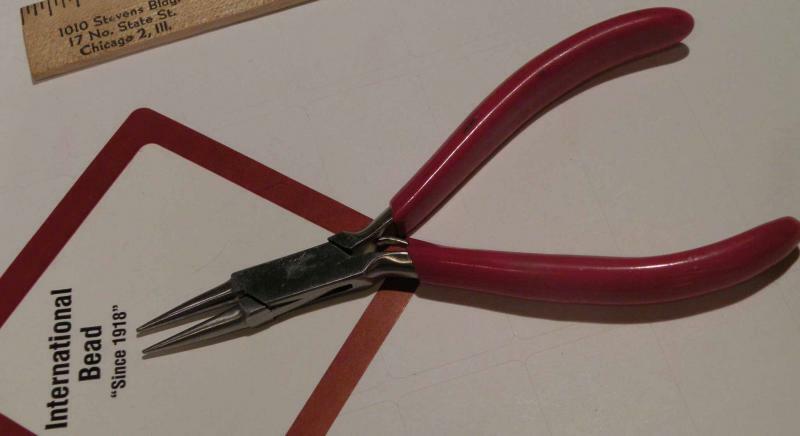 with a pliers the price is $15 email to order.